The Samurai of Prog will release their new double album, “Lost and Found”, on April 20th. Working with original members of Pavlov’s Dog, Lift, Cathedral, Odyssey, and Quill, the band has discovered lost prog epics from the 1970s. Because of dissolving record contracts, band line-up changes, and the shifting landscape of popular music, these amazing compositions were never properly recorded… until now! 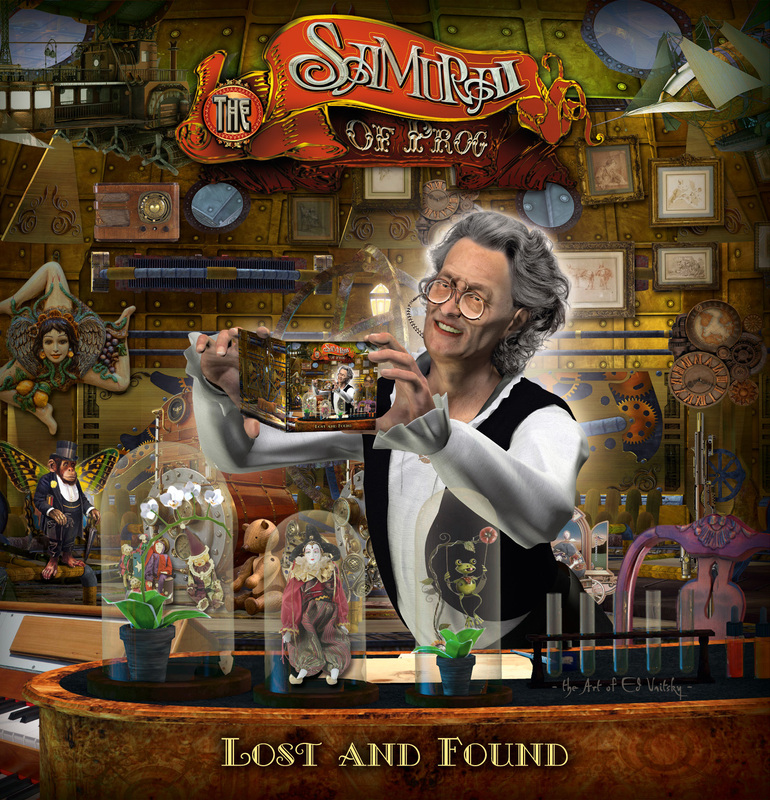 The Samurai have created stunning, brand-new versions, and the result is a prog-lover’s paradise. The recording is audiophile quality. The package is first-rate (thick cardstock mini-LP style, with a 32-page booklet and artwork by Ed Unitsky). The band remains the core trio of Marco Bernard, Kimmo Pörsti and Steve Unruh, plus Stefan Renström and Tom Doncourt. Special guests include Jon Davison (Yes), Mark Trueack (UPF, Unitopia), K. Alan Shikoh (Glass Hammer), David Myers (The Musical Box, solo artist), Linus Kåse (Änglagård), Chip Gremillion (Lift), Keith Christian (Quill), Johan Öijen (Brighteye Brison), and Steve Scorfina (Pavlov’s Dog). Album includes a 57 minute-track “The Demise” written by Ken DeLoria and other Quill members. This entry was posted in album art, New Album, Prog Rock and tagged new album, the samurai of prog. Bookmark the permalink. This Is a true Masterwork. It required the expertise and commitment of musicians from 5 countries. As one of three composer’s who was fortunate to have his work recreated and recorded with the technology of today while holding true to the music is as close to a miracle as I am likely to experience in my lifetime. This commitment literally reached back in time forty plus years and brought these remarkable works into the present with all of the power and force todays digital technology provides. America was not a center for Progressive Music. Practically every area of the USA had its own “flavor” of rock music. …and Progressive was nowhere to be found. It is an honor to share my music along with other “Greats” of the American Progressive Rock. Hail to “The Samurai of Prog”. If too many people listen to it all at the same time, there might be seismic consequences. Be Forwarned!